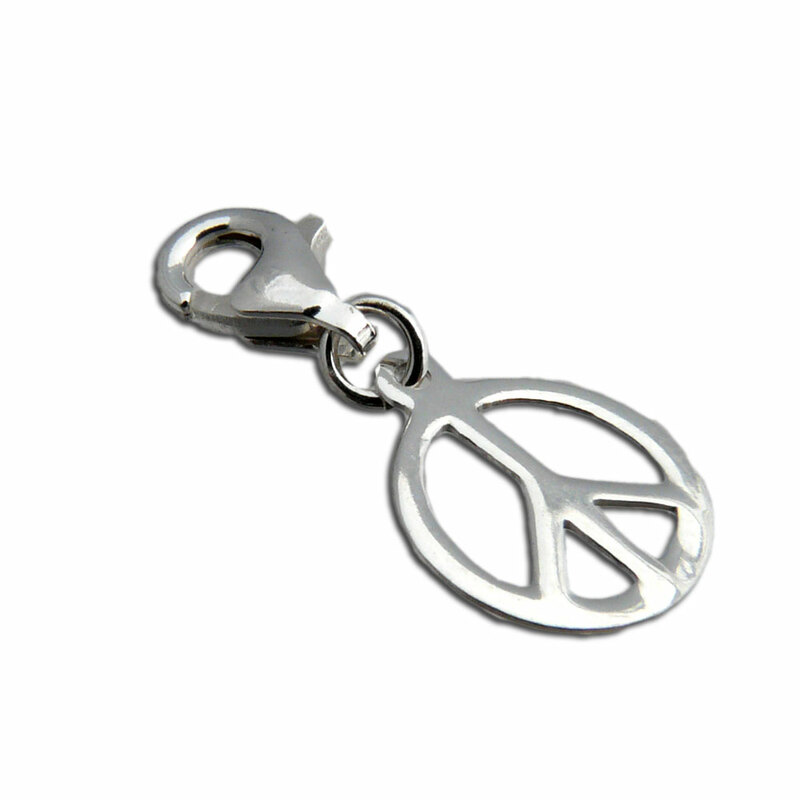 Tiny Peace Charm with a clasp so you can add it to most of our necklaces, bracelets or anklets to make your own peace symbol jewelry. It is part of our charma collections and can be easily combined with any of our charmas good karma charms. The spring clasp makes it easy to change the charms around. Fun to wear on it's own or combine with other charms. It's lightweight, making it ideal for a variety of ages. 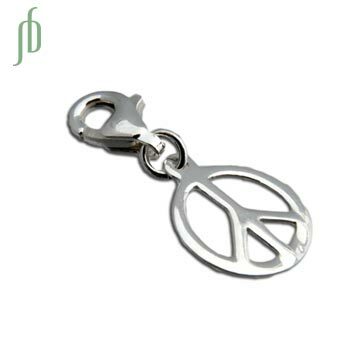 1 cm + 1 cm clasp, 0.6 g.
Sweet and light-weight peace earrings made of sterling silver.